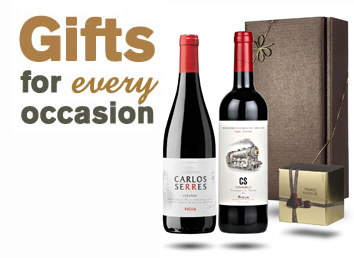 This wine has a inky deep crimson colour which delivers generous flavours on the palate. Rich and mouth filling with ripe fruit, creamy oak and ripe tannins which add structure and a wonderful balance of fruit and oak. You will find plums, blueberries, a touch of liquorice, a suggestion of anise and lingering pepper on the savoury finish. 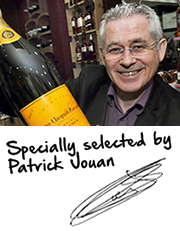 Totally delicious and a very rare wine! Better than many top northern Rhone wines. The story begins with a group of French Missionaries who sailed to New Zealand in 1838 with little more than their faith and a few vines. Mission Estate was established by these Missionaries in Hawke's Bay in 1851, where vines were planted to produce both sacramental and table wine, and New Zealand's first winery was born. The first record of a commercial sale dates back to 1870 when a parcel of mostly dry reds was sold. Mission has never lost sight of its French heritage, as over the years Brothers of the Order have travelled to France to study and learn viticulture and winemaking skills. Our current winemaker Paul Mooney has been at Mission for over 30 years, and was originally trained by the Fathers. At 'La Grande Maison' of Mission Estate there is still one row of Muscat grapes that have been grafted over the years from the very original stock bought to Hawke's Bay by the Marist Fathers. 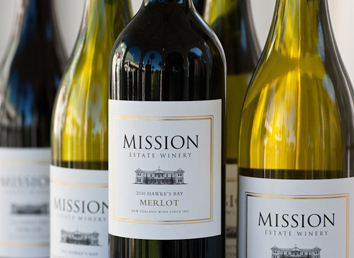 To experience what 160 years of winemaking tastes like, view and purchase from our extensive range of Mission Estate wines.